We recently got new kitchen cabinets, which required emptying the old cabinets and setting aside their contents until the new cabinets were ready. The process gave us a chance to reacquaint ourselves with stuff we had been accumulating. That stuff included the five-piece china service for eight and the crystal stemware we got as wedding gifts. I would be surprised if we had used those plates, saucers, cups, goblets, glasses and flutes five times in the 17 years they spent in those cabinets. The old cupboards contained other relics we rarely – if ever – used, including serving platters from my wife’s grandparents, an ornate pewter-trimmed glass coffee urn with a fancy candle-powered warming stand and plastic Jell-O molds in the shapes of footballs, helmets, hearts and the American flag. When time came to put stuff into the new cabinets, I suggested we think twice about the stuff we have been keeping and not using. Why were we keeping it? Why weren’t we using it? What else should we do with it? As a nation, we tend to obsess about stuff. We watch television shows such as Hoarders and Hoarding: Buried Alive, where people gather stuff, and Antiques Road Show, Pawn Stars and American Pickers, where people try to rationalize price tags for the stuff they have amassed. Whole industries are booming to accommodate our overflow of stuff. The Container Store – aimed at households trying to organize stuff – envisions having at least 300 stores nationwide, quintupling its outlets from 62 stores in 2013, according to documents filed with the Securities and Exchange Commission. 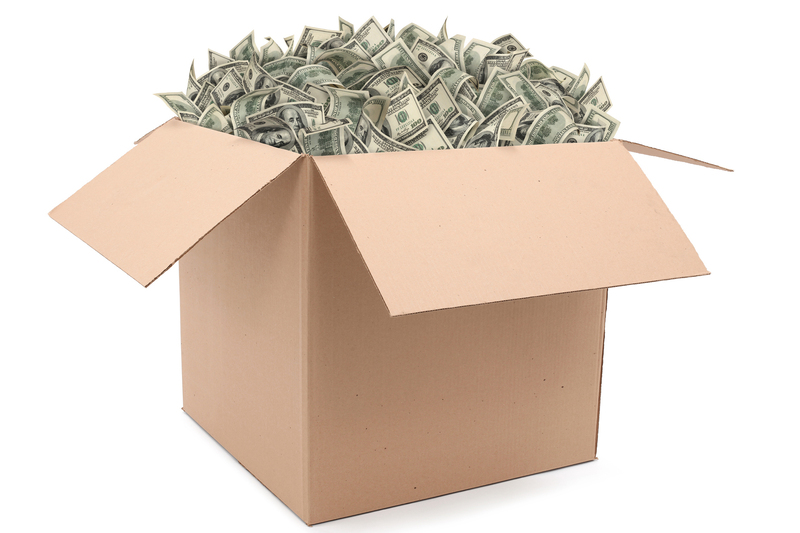 The Self-Storage Association – representing 50,000 facilities renting space to folks with surplus stuff – reported $24 billion in revenue last year. Burgeoning legions of businesses are offering to help households get a grip on their stuff, including professional organizers, estate liquidators and senior move managers. More containers, storage units and coaching can help us handle our stuff today. At some point, though, we should consider what will become of everything when we’re done with it – which, for many, is when we’re done. If you’ve ever been involved with clearing someone’s residence because of a death or downsizing, you know you don’t want to impose that burden on anyone you love. The stuff in our kitchen cabinets and basement and garage includes four generations of stuff accrued from our grandparents, our parents, ourselves and our children. My dad, a handy and resourceful offspring of the Depression, was a tumbleweed who frequently found treasure in others’ trash. Our stuff includes stuff he gave us from other families’ refuse: a lawn mower motor; glass jars filled with rescued nails and screws and tacks and nuts and bolts and washers; a heavy oak column with a slot on top, apparently used for collecting donations at some house of worship. Last year, I got to help edit a book by Pamela Y. Wiggins, an antiques expert and columnist based in Texas. The book, Collecting with Kids: How to Inspire, Intrigue and Guide the Young Collector, got me thinking about how we can take great care and passion in gathering some of our stuff, but no one else may be interested in it when we’re done. A recent article in The New York Times noted an escalating tug-of-war on where stuff goes when parents are through with it and kids don’t want it. For reasons of demographics, economics and taste, more of us should be thinking ahead about how our accumulations are handled. Take stock of your stuff. Making a list helps you sort priorities. Once you see a black-and-white inventory, you can be more objective about what you don’t need or want and what you don’t have room for. Communicate with those who live with your stuff as well as those apt to “inherit” it. That way, everybody knows what you have, and you can learn whether they are interested in any of it. Use such discussions as a chance to talk about your values. Use your stuff to help explain what matters to you and why. Invite the others to share their thoughts. Based on your list and your discussions, figure out what should go to whom. For everything that nobody wants, divide your stuff into what to sell, what to donate and what to drag out to the curb. Seek help from acquaintances who can objectively help you determine what’s worth selling and donating. Consider hiring a professional organizer or estate liquidator or senior move manager to assist you. Communication is the panacea! Share your plan with anyone who might be affected so that 1) they can offer feedback and 2) they won’t be surprised. Make peace with your stuff. Tidying expert Marie Kondo includes a ritual of first identifying which stuff you keep based on whether it gives you joy. For everything that does not qualify, Kondo advises, you thank the item for its service and tell it good-bye. As silly as it seems, it makes sense to show a certain respect for what you have owned and kept – and then to let it go. If we consider the value that objects have to us and the emotions we tie to them, then we can acknowledge those feelings and find some other way to memorialize them that doesn’t take up as much space. We can take photos, for instance, or write stories. In the news accounts of families fleeing wild fires in Northern California and the hurricanes along the Gulf Coast and the Caribbean, I have been noticing mentions of what survivors have taken with them: An old family photograph, a chipped coffee cup, a child’s artwork given long ago as a gift. They remind me how little we really need all our stuff. Some of our new kitchen cabinets remain empty. Not only are they more capacious than the 40-year-old cupboards they replaced, but we decided that some of the stuff we used to keep and didn’t use isn’t worth keeping. As for our china and crystal, now they are more accessible. Perhaps we’ll start using them more.